In the Word there are many scriptures that speak of hope lost and hope found. Jesus’ followers spoke on hope, as did many prophets and biblical leaders from the book of Genesis to the third book of John. Yet, in all of these we learn that the importance of hope mainly rests in our focus being kept on God. Hoping in Him, no matter what our circumstances might be. Hope is mentioned 151 times in the NKJV, with the book of Psalm having the greatest number of uses (28), followed next by Job, who struggled to maintain hope as the enemy continually attacked him. The sole use in the book of Genesis speaks of Esau’s lost hope; after his father, Isaac, had unwittingly given his blessing to his brother Jacob. A lesson to us that when we focus on things other than God—holding on to anger, disappointment, dissatisfaction, etc.—hope can be hard to find. In the book of Ezra—believed to have been written by a prophet—chapter 10, verse 2 says, “…yet now there is hope in Israel in spite of this.” The people of Israel had sinned against God, but they had hope, for they were going to turn from their transgressions and create a new covenant with God—realizing it is never too late to seek God. 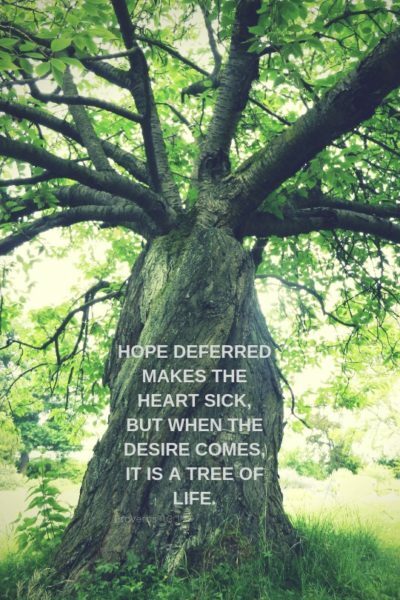 Proverbs 13:12 speaks of hope deferred. Yet, when our desire comes—when the promise comes—it is a tree of life! 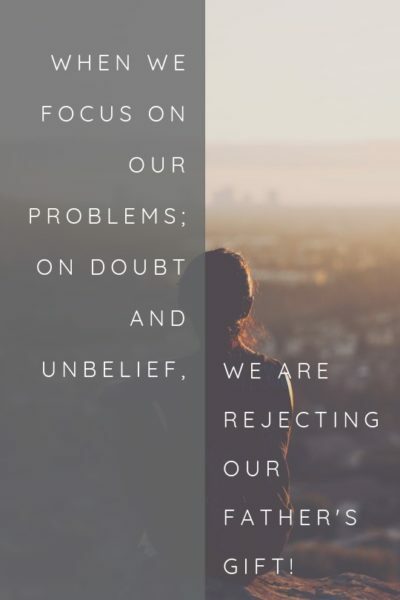 Often in life we have dreams of things we want to do that we know are from God, or have a prophecy spoken over us, then weeks, months, years, even decades later they still have not come to pass… but, so often they do, and while it is not always easy, keeping our eyes on God is the key to keeping our hope alive! This hope allows us to keep doubt at bay, allowing the promises room to flourish and come forth! The book of Psalm has perhaps some of the most beautiful messages on hope and finding it in God. The first mention of hope in the psalms is in chapter sixteen—it teaches us that our flesh will rest in hope! To rest in hope is to know peace, for hope is not anxious nor fearful, because hope is a product of love, which casts out all fear (see 1 John 4:18). When we hope, we find rest in God. If we are at enmity with God we can have a measure of hope, yet, it pales when compared to the hope that is beyond earthly wisdom. A hope only found in God! For the Lord desires good for His children, not evil. Thankfully, all we have to do is ask Him for hope. Simply putting our small measure of faith into hoping in the Lord—knowing that He is our only hope, because our own strength is not enough. God is our hope and glory! As we open our hearts to accept His hope, no matter how many times we have rejected His precious gift… He will answer! 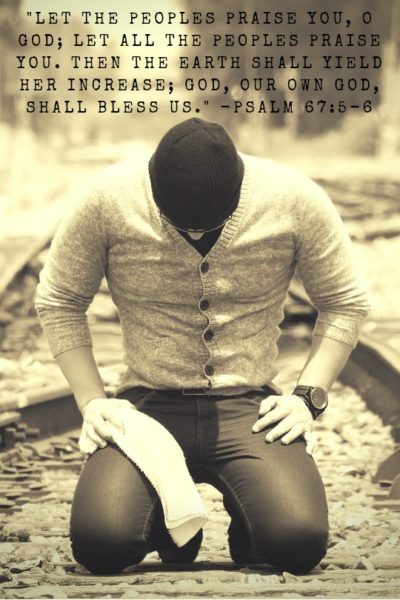 The Lord desires to bless us, yet, we have to be open to Him and have faith that He is our hope. When we have the faith to praise Him, even when we cannot see a reason to, then the hope comes… the promise comes, and the blessing! These verses remind us that we are to praise Him; that our hope is in God alone… and when our hope is in God, we desire to praise Him. Only He can truly fill the desires of our hearts! Only He is worthy of our hope and praise! When we praise God, even as our hearts are heavy, hope arises to meet us… and with hope we receive not only peace that surpasses all understanding, but we find ourselves unafraid, satisfied, and complete! Both Old Testament and New agree, hope and our relationship with God go hand in hand. The children of Israel knew it in the days of her kings. The tribes now returned to Israel know it today—realizing that with enemies all around them, all they have is their hope and faith in the Lord. And we, as grafted-in believers know—and are learning to know better—the importance of hope; hope in God! By sponsoring an olive tree, through My Olive Tree, YOU can show the people of Israel that they have not been forgotten by their grafted-in brothers and sisters, or God! With YOUR sponsorship you are giving jobs and beauty for generations, as well as a legacy. 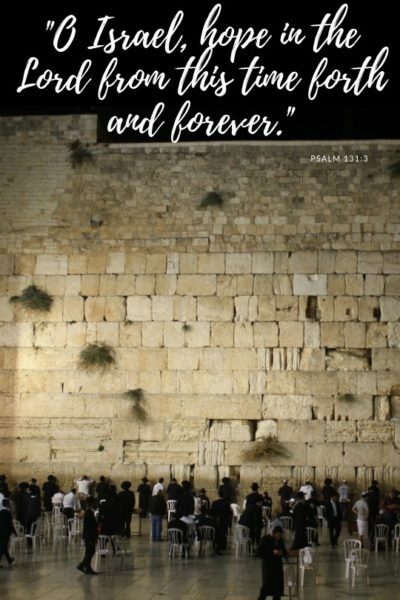 A legacy for you, that you helped bring the land of Israel to life and cared for her people, but ALSO a legacy for them… a legacy that Believers living thousands of miles away helped them to help themselves. A legacy that God’s love is real and that Believers do not simply speak of His love, but live it! and a mezuzah, so that the Word of the Lord is always greeting you as you go in or out—a reminder that your hope is in the Lord. Let us stand together in faith, renewing our hope and the hope of those who face danger every day. Let us remember to rest in hope!